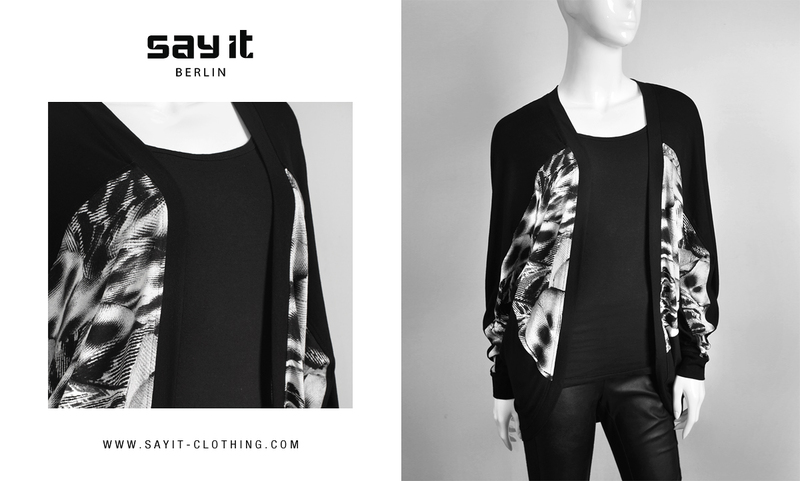 SAY IT is a clothing brand from Berlin, Germany, funded in 2012 by Eleonora Colonna and Diego S. Pontecorvo. 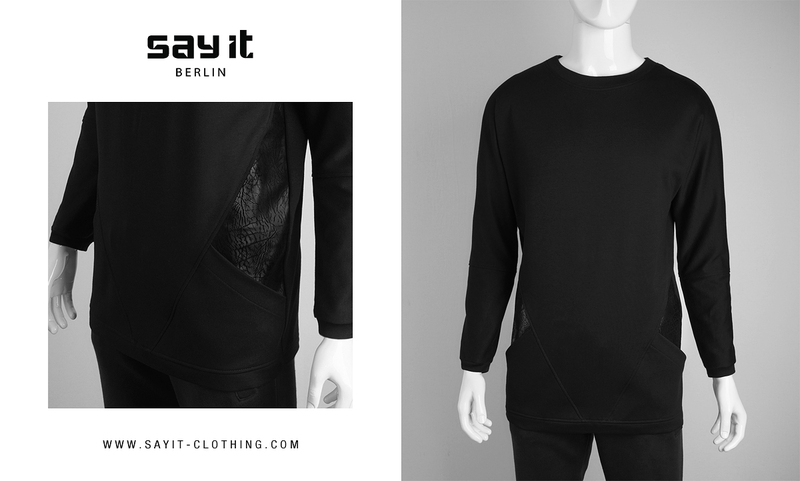 SAY IT shows a youthful take on casual streetwear, featuring a minimal geometry-inspired aesthetic. A predominately dark palette of black and grey plays along with geometric cuts, color-blocked and patterned pieces, pushing a clean modern aesthetic, focusing on a loose-fit, deconstructed approach to silhouettes. 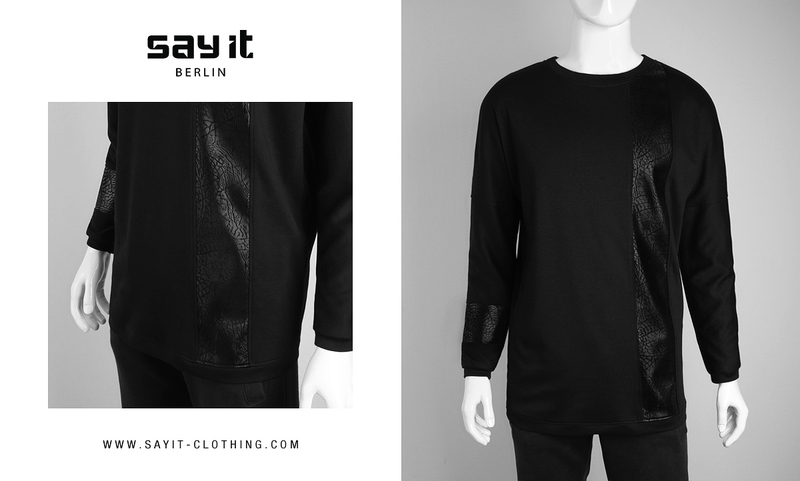 From clean graphics hand-screenprinted T-shirts to full-on patterned fabrics used on outerwear, all our products are handmade by us in Berlin, Germany, in limited editions to provide you always with fresh and original clothing pieces.